Modern and stylish, this Safavieh Courtyard area rug is a quality accent piece. Designed as an indoor/outdoor piece, its plush synthetic material will make you feel cozy and comfortable. Bring this machine-made rug into your home for a durable interior design option. Make a bold statement with this floral plants patterned red rug. 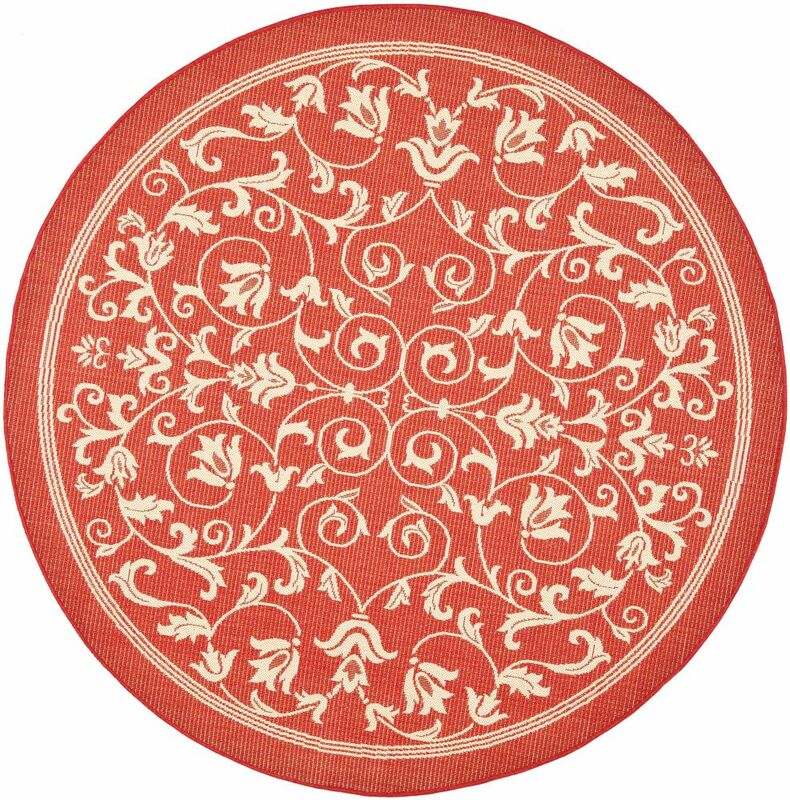 Courtyard Marc Red / Natural 6 ft. 7 inch x 6 ft. 7 inch Indoor/Outdoor Round Area Rug Modern and stylish, this Safavieh Courtyard area rug is a quality accent piece. Designed as an indoor/outdoor piece, its plush synthetic material will make you feel cozy and comfortable. Bring this machine-made rug into your home for a durable interior design option. Make a bold statement with this floral plants patterned red rug.